CASA Electronic Co., Ltd. is a professional laser beam factory located in China. Founded in 2007, it opened with research and development of laser diodes and laser light applied in entertainment. We continue to develop and produce more or less new laser lights, like the cheap RGV Cartoon 7-color Laser and other electrical accessories with the CASA brand. Since then, our company has prioritized itself in the design and manufacture of laser diodes, disco lights, and Laser Cartoons. However, along with the development of technology and innovation in lighting and lighting in the world, we are currently producing and introducing LED (Light Emitting Diode) lights to be able to change LHE lamps where LEDs are far more effective in consuming electricity, more efficient, more resistant old, environmentally friendly, and attractive design. We have many variants of LED lights according to their usefulness and type and have a comprehensive testing laboratory with standards that fill the rules and ISO 9001: 2008 for quality management. CASA is committed to working on investments in R & D; to make products and competitive solutions. To meet the needs of our customers, we concentrate on customer-focused innovation. Our product R & D; aims to submit timely solutions for the needs of potential and actual customers by developing changes in technology, products, solutions, and services. CASA will remain customer-centered and gradually expand the advantages of our integrated laser DJ beam and LED lights based on customer requirements. Going forward, we are committed to providing excellent products and solutions. 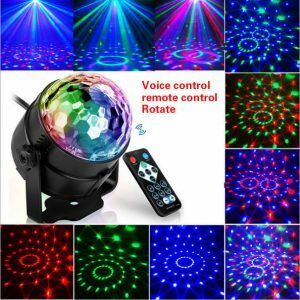 To concentrate on the constraints and market needs of our customers by submitting the best laser DJ solutions and services and LED lights to create maximum value for our customers consistently.